يوفر فندق Jucy Snooze Hotel ظروف إقامة راقية وهو خيار رائج للسياح ولرجال الأعمال أيضاً. يقع في منطقة مطاعم, سياحة, تسوق من المدينة. يمكن من هنا للضيوف الاستمتاع بسهولة الوصول إلى كل ما تقدمه هذه المدينة النابضة بالحياة. يضفي محيط الفندق اللطيف وقربه من أكثر المعالم السياحية جذبًا سحرًا خاصًا على هذا الفندق. إن Jucy Snooze Hotel حريص على توفير الراحة للنزلاء، فلا يوفر الموظفون جهداً في تقديم أفضل الخدمات وضمان حسن الاستقبال. يقدم هذا الفندق العديد من الخدمات الكفيلة بإرضاء أكثر الضيوف تطلباً. في Jucy Snooze Hotel غرف نوم يزيد عددها عن 60 صممت بذوق وعناية لتوفر لك كل وسائل الراحة . بعضها يحتوي أيضاً على تلفزيون بشاشة مسطحة, كاشف دخان, اتصال لاسلكي بالإنترنت, غرف لغير المدخنين, تدفئة. سواء كنت من محبي الرياضة أو كنت تتطلع لتفريغ عناء نهار صعب، ستجد خدمات ذات مستوى عالي بانتظارك كمثل حديقة. مهما كانت دواعي سفرك فإن Jucy Snooze Hotel هو خيار ممتاز لإقامتك في المدينة. It's near the Britomart Station and the harbour. Staff is friendly and extremely helpful. No lifts/elevators, so you have to carry your luggages up and down the stairs. There's no toiletries provided, you can borrow a towel with a refundable deposit of $5. Free wifi too. We arrived with a Jucy car and got a free parking spot offered in their garage, which was super convenient. Pretty much everything is walking distance and they do have a little coffee shop downstairs to wake you up in the morning. We had a double room with private bathroom. The room was big, bright and clean. A little noisy in the morning though, but a great deal after all. Would stay again. + Location + Free tea or instant coffee (only in afternoon though?) + Windows - Really moldy and smelly room, probably not healthy to stay there for more than a couple of nights - Only one kitchen and it's TINY. One stove/oven and only one sink, imagine the chaos at dinner time. Lacks most things you would expect in a kitchen. - A whole 30 min of internet per day, and only works at reception. You could get unlimited Internet in your room but then you would have to pay. It's like a bad joke. Come on, it's 2018! The hotel is well located, the staff super friendly, but the hotel is way too noisy ! So you'd better cross your fingers that there won't be any families with yelling kids staying on the same floor or anyone making phone calls at 5.30 am in the corridor, talking and laughing like it was day time ! Ok for one night but not more ! My wife stayed here for business purpose. Reasonably priced, located strategically downtown, great staff, perfect for those who look for new friends from other countries. the room was okay but quite small..need to arrange our bags properly so that we had space for prayer. the staff was helpfull. Good place to stay in Auckland. 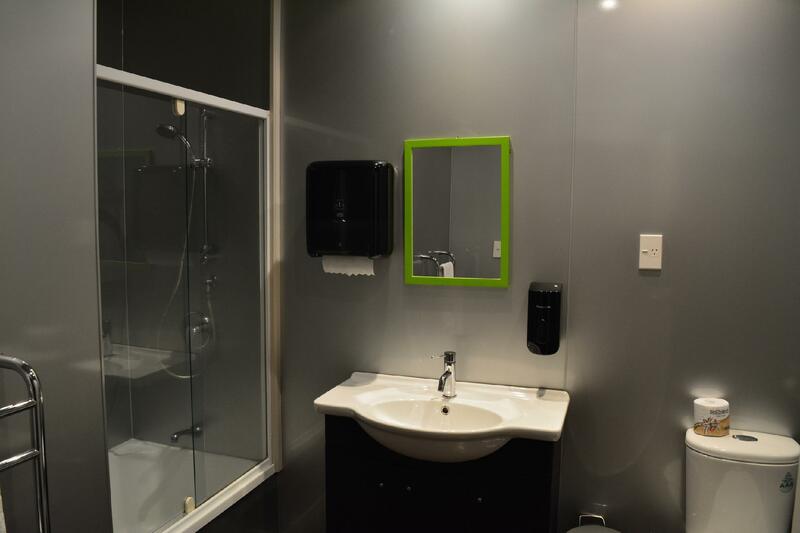 Bathrooms and rooms are a little run down for the price, but it seems that way for all places in Auckland. Staff super friendly which was a highlight. Had a nice time wit this hostel. Though its a little bit of a workout to reach them, as you gotta climb a small hill. Had a difficult time since Im with a 20kg luggage, but without it, its fine. Its a 15min walk from Queens street but since its spring, we dont mind. We appreciate the workout though. Just be a lil bit quiet at night as you might disturb the folks next door. This facility is exactly what it says it is. 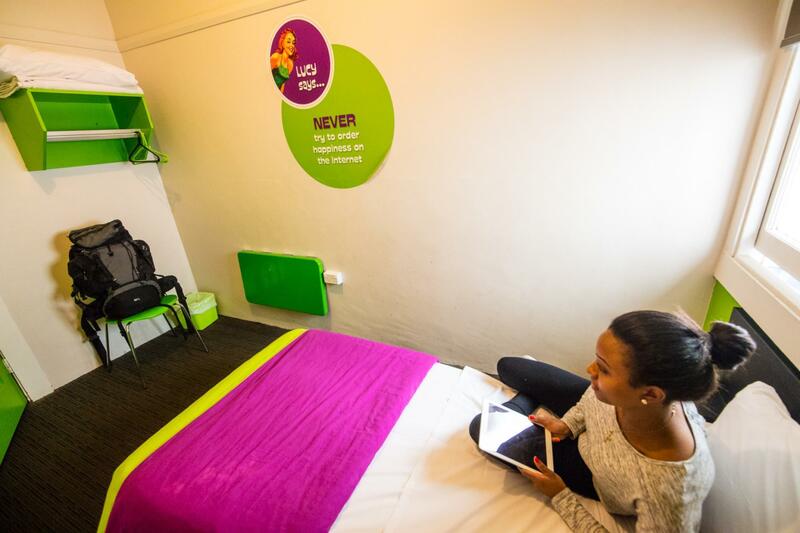 The rooms are simple but extremely comfortable and the facilities in the building are of a relatively high standard. The communal dining area and socials space is well thought out and the proximity to shopping and restaurants makes this hotel viable for everyone not just those whom eat out. I have stayed in this Hotel for weeks at a time and have never tired of doing so largely because the staff are excellent. I have no hesitation in recommending this place to anyone and suggest that if you accept that you are staying in a budget space then you will be pleasantly surprised. Quite disappointed with one guest who conquering all the lounge space by himself to watch movie. And disrespectful to other guests with senior ages and family with kids. The staff is so friend during our stay. A bit tiring to walk to the hotel as it was located at sloping building site. We stayed in a private room with shared bathroom. The hotel is in a quiet street but close to the city centre. The room was basic but clean, the bathrooms however were a bit grotty. Staff were really friendly and helpful. 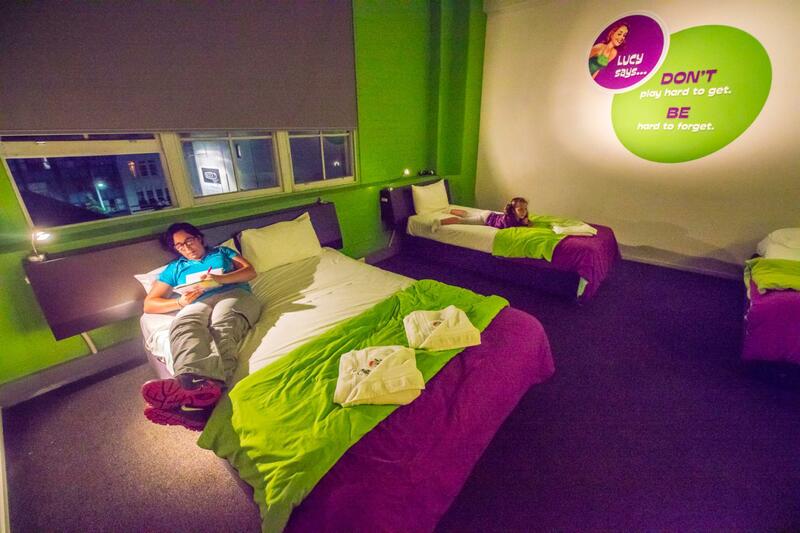 The biggest improvement that could be made would be free wifi throughout the hotel. After travelling throughout Asia where this was standard in even the most basic, remote hostels, having to pay $3 an hour seems outdated and a bit cheeky. 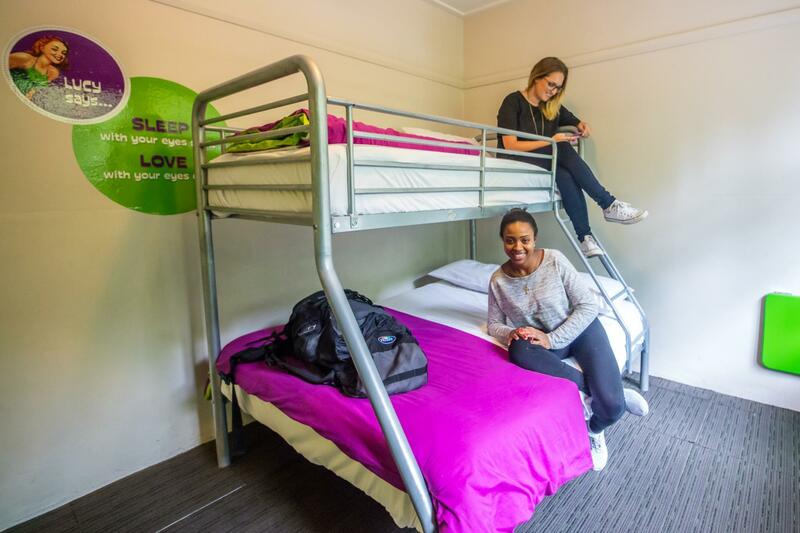 Considering the places to stay in Auckland, the price can be quite high for a single room, therefore i view Jucy Snooze as a good value for money hotel. It's more like a no frill hotel where you pretty much need to pay for everything, from towel to wifi. 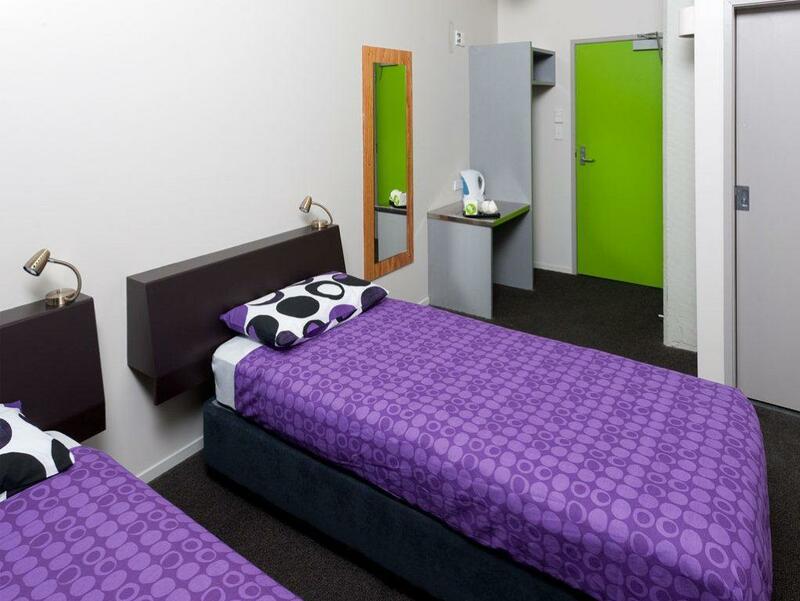 It is within walking distance to Britomart and Queen St.
We have just stay overnite, quick check in and check out. Stayed in a Quad Ensuite room. Very clean, comfortable. Toilet are clean & spacious. Great staff attitude, very helpful and friendly. Located in a quiet area but close to the city. Highly recommended.